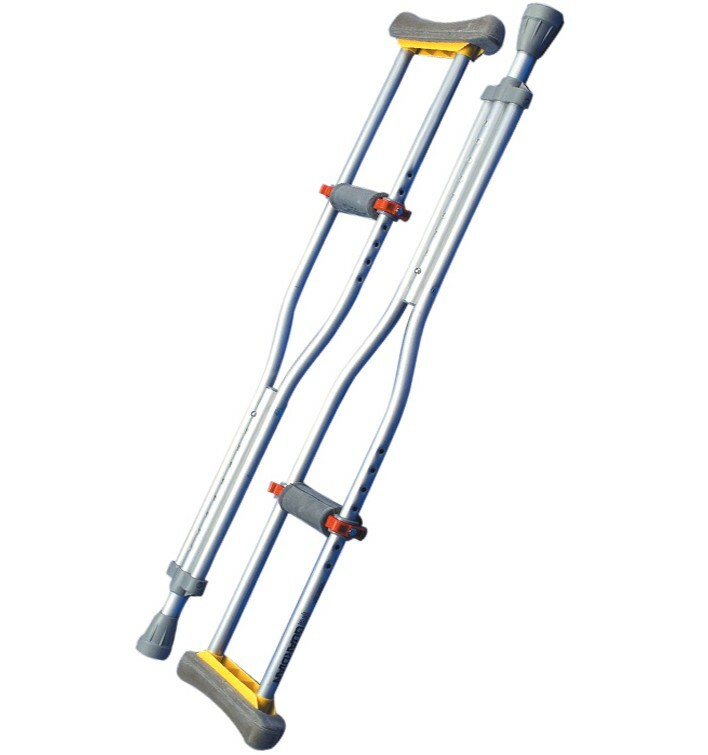 Aluminum Crutches Packaged in pairs complete with tips, grips, and pads. Aluminum Crutches Packaged in pairs complete with tips, grips, and pads. Adjustable by using wing nut. 300 pound maximum weight. Latex free.